Make orange juice, sorbets, tofu, almond milk or cold press juices. The HP is compact enough to fit in small spaces. 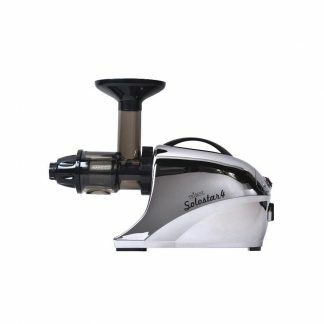 The motor is near silent so you can enjoy your juice without the noise. Will look beautiful on your kitchen counter as it comes in several stylish colors. 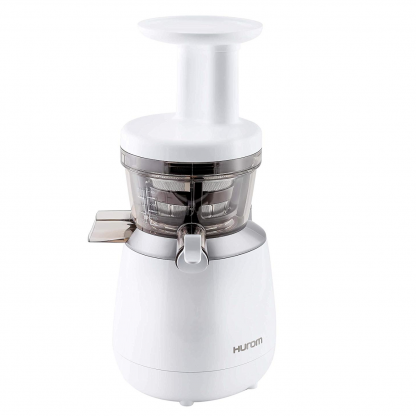 The trendy Hurom HP slow juicer is very versatile. It works great on fruits, vegetables, greens, nuts and soybeans. Create cold press juices, orange juice, almond milk, sorbets, or tofu. The options are limitless! Stylish Design: The HP slow juicer has subtle, sweeping curves that will catch will everyone’s eye. 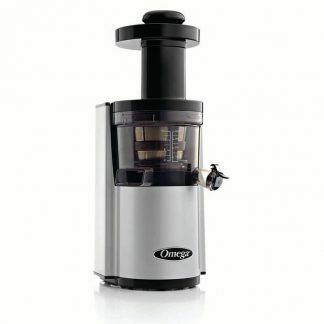 While it holds less juice than our other juicers, the HP is an ideal for the solution for personal or even family use. 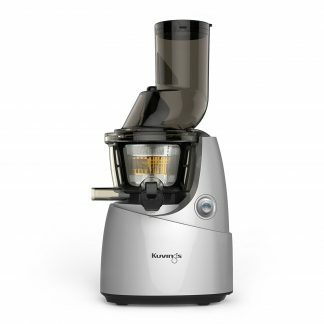 Works Quietly: Near-silent AC motor works efficiently using just 150 watts of power, which means you can enjoy cold pressed juice at home without the noise caused by traditional juicers.